Phalaenopsis Orchid plants are amazing and beautiful. 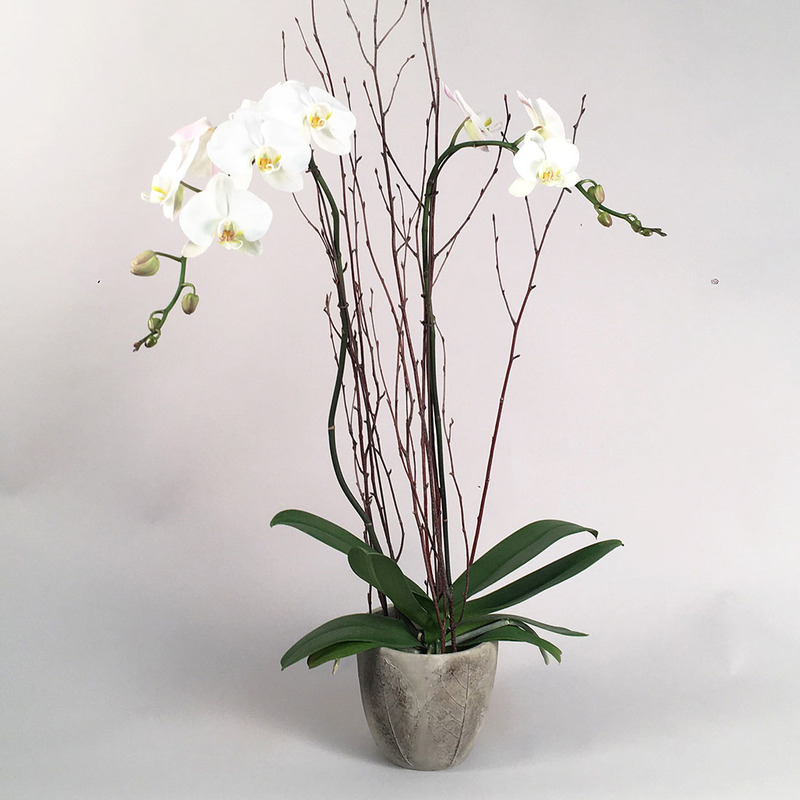 A double stem decorated with branches and nestled in a concrete container has always and will continue to be a fan favorite. Perfect for all occasions and stands in over 36″ tall.